Once you and your spouse-to-be have an idea of the stations within your wedding venue (think ceremony area, registration table, reception hall, photo booth) and decided on a theme, you’re ready to shortlist some photos to feature on your big day. If you don’t have many quality photos together to play with, we highly recommend booking a professional photographer for an engagement shoot. 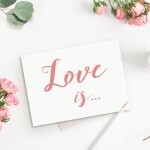 It’s a fun activity to enjoy together before or amidst the stress of wedding planning, and it yields photographs that beautifully capture your essence and milestone as a couple. 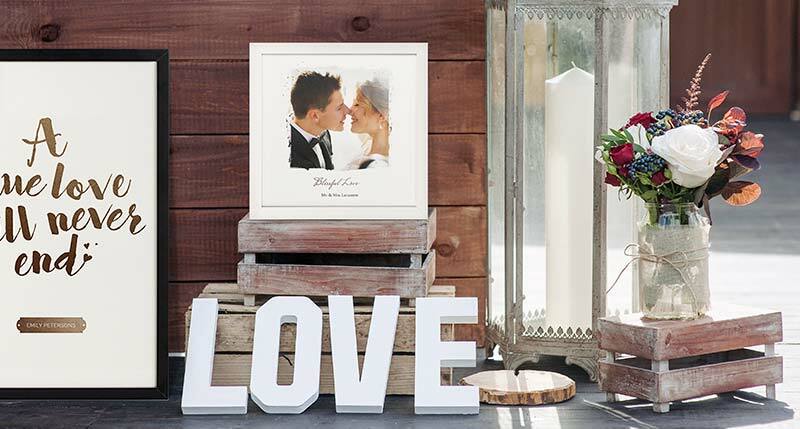 While framed photos look best in these settings, wood prints, desktop plaques and the canvas air would work to the same beautiful effect. 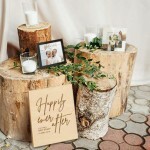 The unique shapes and textures of wood slices, crates, barrels, and ladders render a dynamic and eye-catching host for your photos. You can stack crates in different ways, make a countertop out of two barrels and a solid plank on top, or maximise the very structure of a ladder. Simply soften the rugged and rustic feel with plants, fresh flowers, or delicate materials like lace. 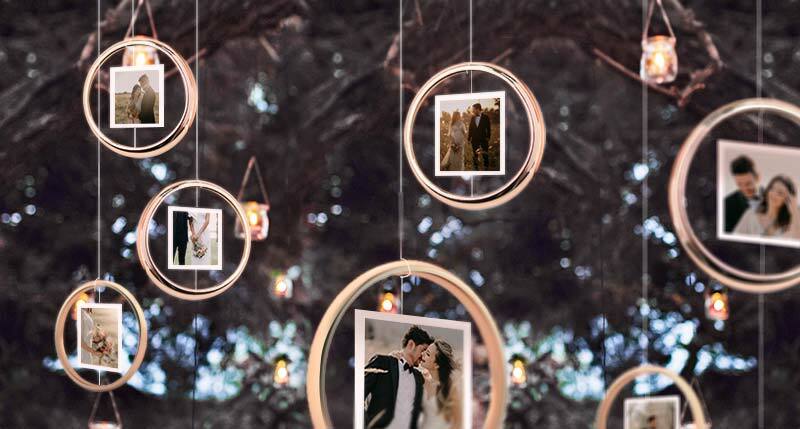 You could make a garland out of our insta cards or pin your photo prints along a stretch of fairy lights, but here’s an adorable twist to showcase your pint-sized photos. All you need is a hula hoop or an embroidery hoop, ribbons or thread, scissors, and of course your insta cards. Super easy to make, and you can let the hoops hang or prop them on the dessert table! Make a floating gallery by hanging these hoops up and letting them hover. 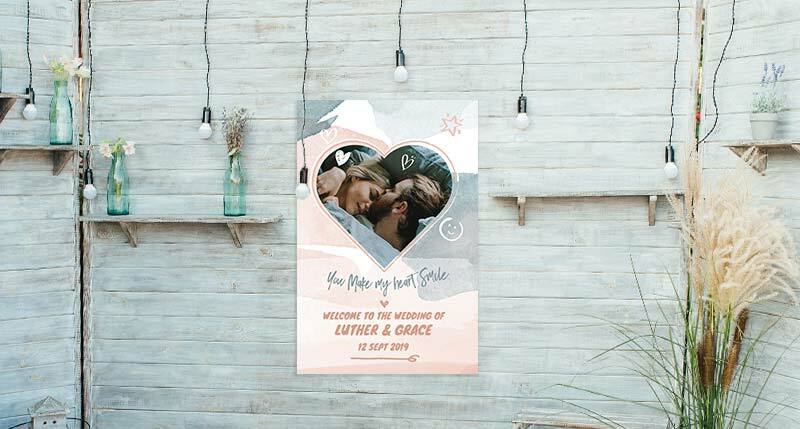 With real estate going up to 12” x 16” and 24” x 36” respectively, our hanging canvas and poster print would do a good job as a background for your wedding arch, or as a welcome banner for your guests. 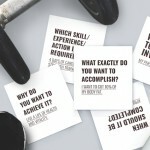 You can always personalise your large format print to feature only words. Why not showcase your photos where the eyeballs will be? 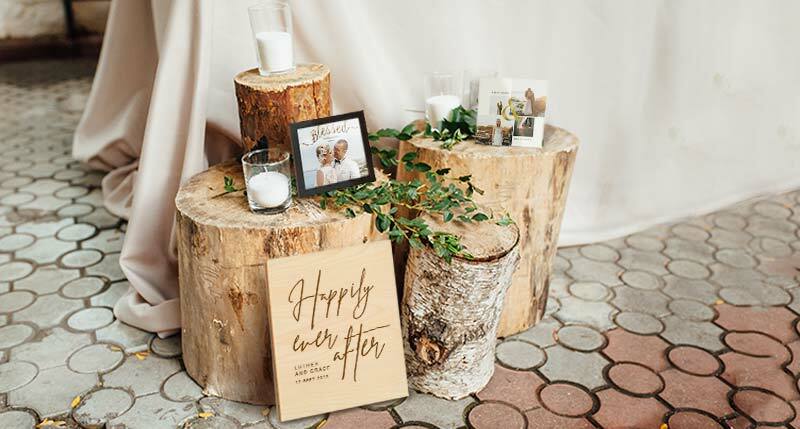 Make a backdrop for your dessert spread, registration table, or photo booth with a series of framed photos, canvas prints or insta cards, hung from above or against a supporting wall. 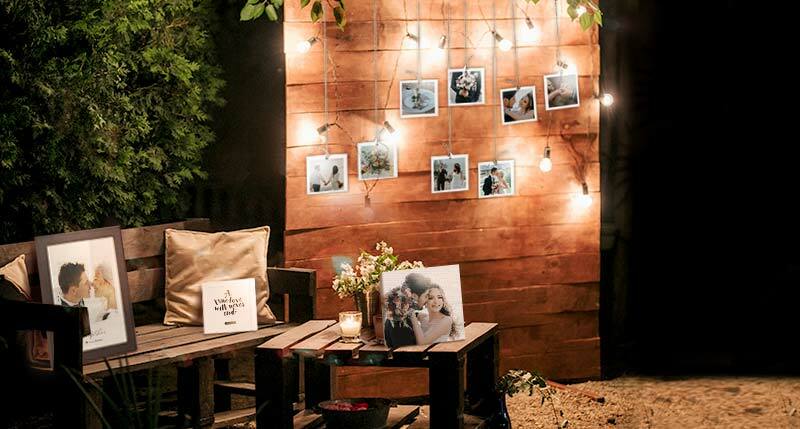 If you intend for it to be a photo booth, there’s a variety of objects you can add to the setting such as furniture pieces and photo props for guests to interact and have fun with! 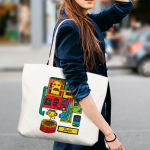 The best part is you can repurpose these photo merchandise as home decoration or gifts to family and loved ones.